Super League outfit Civil Sporting Club risks losing six key players for nothing, having not renewed their contracts six months before the expiry of their prevailing agreements, The Nation has established. 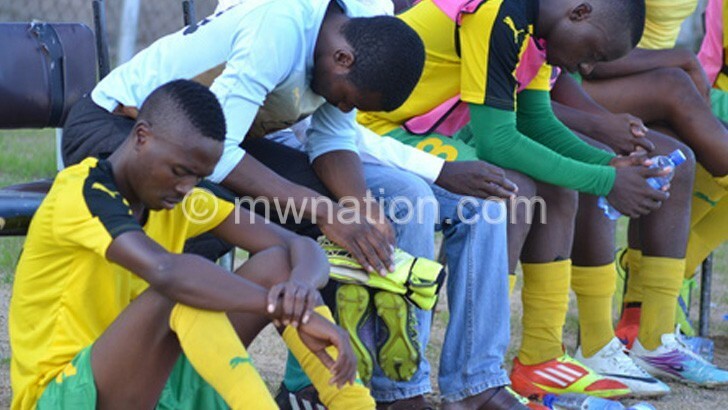 The players, whose contracts expire this June, are midfielders Blessings Tembo and Patrick Thupi, forward Fletcher Bandawe, goalkeeper Tione Tembo, left-back Willard Dickson and right-back Andrew Milanda. Article 18 of the Fifa regulations on the status and transfer of players allows players in the final six months of their contract to negotiate a contract at another club without being accused of infringing on anti-player tapping rules. The players in separate interviews confirmed their contracts were running out in June with no Civil Sporting Club contract offers in sight. “I haven’t been offered any contract. Even if I was handed one, I am not interested to sign now. I will decide my future after the expiry of my current contract,” said Bandawe, an instrumental figure last season when Civil finished on position four in the Super League. Midfield workhorse Thupi revealed he has not received assurances of contract renewal. “My one-year deal ends in June. I am ready to listen to offers from Civil and any other club,” he said. On his part, Dickson stated that he has also not been approached by the club regarding a contract renewal. “I am waiting for the offer. Maybe they will do that once we start preparations for the new season,” the forward said. Sources at the government -sponsored outfit confided in The Nation that the club is failing to renew the contracts because of lack of funds. “The club has not yet paid some players signing-on fees and game bonuses. It is tough for the club to commit to new deals when they haven’t honoured some payments,” he said. “We want to know which players the technical team wants us to maintain. Their report could determine which players should have their contracts renewed. Unfortunately, the report delayed,” he said. “The issue of lack of funding has somehow contributed to the situation but it is not that significant. Chiwaula, however, said the executive committee will meet the coaches soon to discuss transfer plans and contract renewals. “I know we can lose the players if they choose to sign pre-contracts with other teams. That will be a big blow. However, I ask them to be patient because we are working out something for them,” he said. Meanwhile, football analyst George Chiusiwa described the situation at Civil as a recipe for disaster. “You can’t have all those contracts expiring and you are not doing anything to hook them into new contracts. Civil must know that they already have a shallow squad and would suffer greatly if those players left. The club should work to stop such scenarios,” he said.